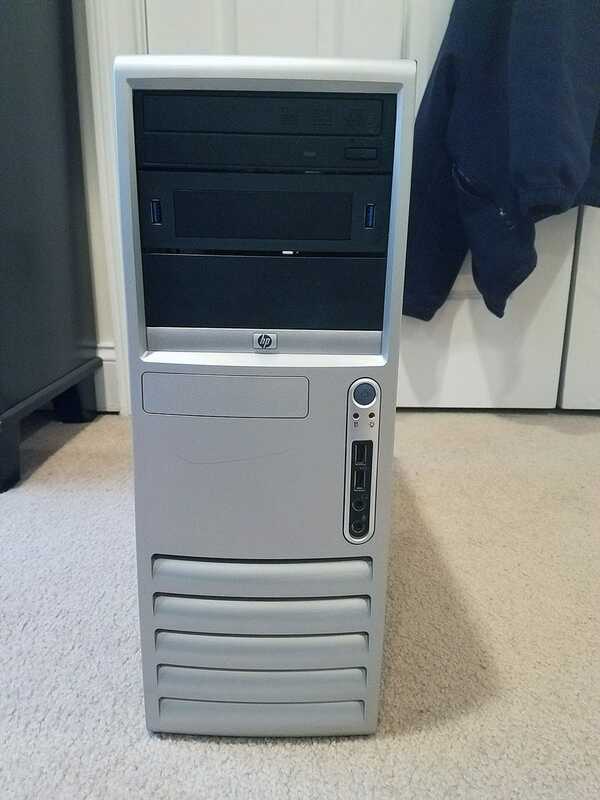 Gutted an HP Compaq dc7600 mid tower. Standard ATX layout. Front panel was standard as well! Even the power and HD LEDs work. So the original power supply is slightly larger than standard ATX but the screw holes aligned fine for the first part. Addon cards do not require a screwdriver for installation. Hid the hard drive in there since the SATA power connector was jutting out and preventing the case from properly closing. Side panel. The black frame is removable so I spray painted it black to make it look much better. Other side. Missing one of the rubber feet.